This is some of the cool stuffs (for me) that I bought at Fiera Artigiano today, the Balinese’s artistic handmade earrings and hairpins. Not only they show the design of lovely local culture in Indonesia, they are also very unique and pretty. 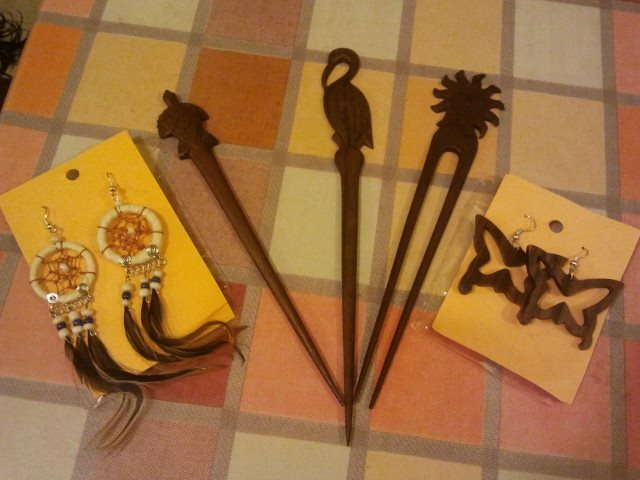 The hairpins I got include a carved turtle, swan, and sun at each of their top parts. Enter your email address to subscribe and receive notifications of new updates. Enter your email address to follow updates and receive notifications of new posts by email.